Whether you're a graduate student, the parent of a small child, or a teacher, if school impacts your life on the regular, it's important to keep that in mind when hunting for an apartment. Apartments.com offers the following five tips for finding an A+ apartment. Top of the Class School Zones. Already have a good school in mind? New to the area and looking for a top-rated district? Search in a desired district or even rentals closest to your desired school. All Apartments.com listings note the schools your complex is zoned for, including GreatSchools ratings to help parents and students compare schools based on a variety of school quality indicators. These ratings provide a helpful picture of how effectively each school serves its students. Settle into a Quiet Neighborhood. A good night's rest is important for both parents and students, especially during test season. Utilizing the Apartments.com Renter Sound Score tool, renters can determine how active their neighborhood is during those precious rest hours. Smart Rental. With the increased amount of digital assignments and online learning, access to a computer is necessary for student success. Make sure your rental has high-speed internet capabilities, or a clubhouse amenity offering computer access. Prioritize a Quiet Study Space. Determine a place where students can focus with little distractions. 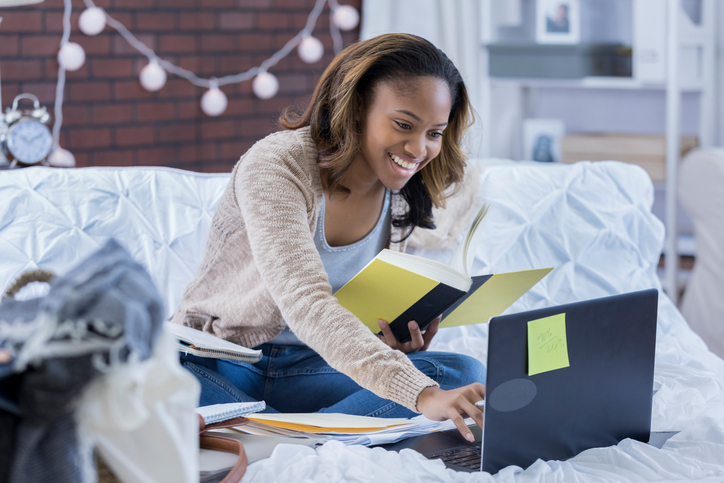 When searching for a rental, ensure that there’s either a quiet study space or nook that can be transformed into a homework station, or amenities such as a clubhouse or café where students can hit the books. Plan your commute. During the back-to-school morning and afternoon rush, apartment communities can be greatly affected by the high-volume of traffic and road congestion. When choosing your next apartment, utilize the Polygon tool to plan your commute and find an apartment within the distance of your preferred commute time, using your desired transportation. Time is of the essence when you’re a working parent shuttling kids and trying to get home for family time or study hours.